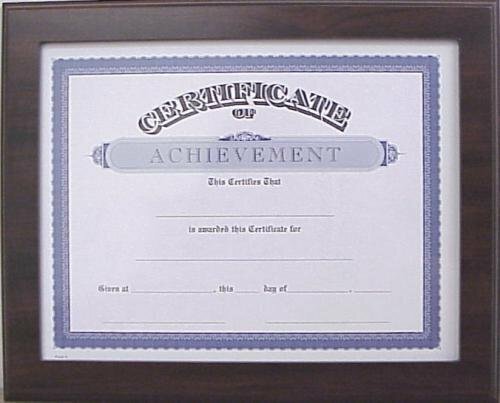 Achievement certificate. 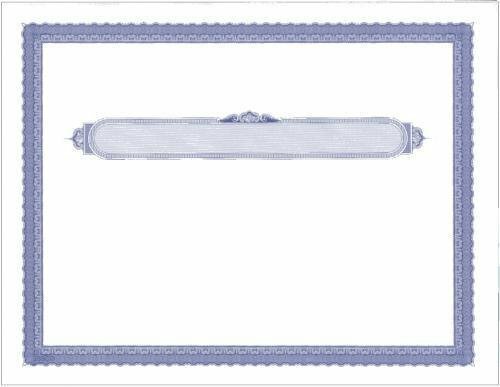 High quality watermarked paper with a blue border. 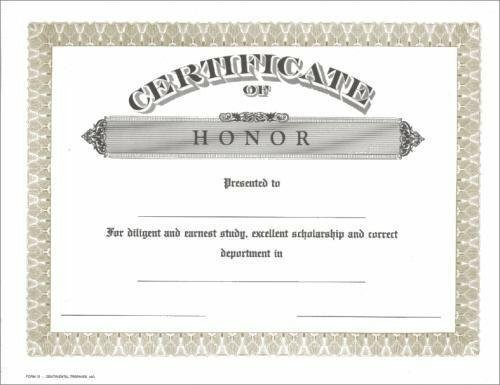 Honor certificate. 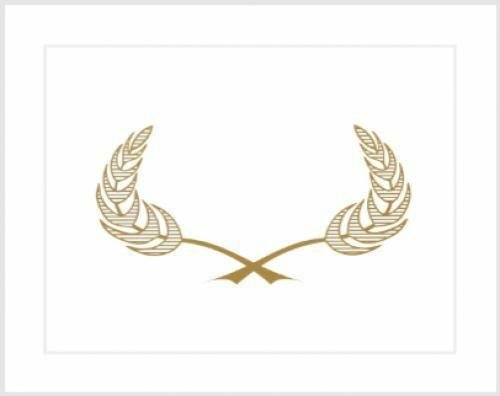 High quality watermarked paper with a gold border. 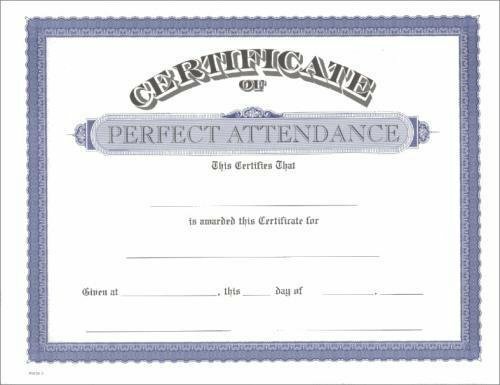 Participation certificate. High quality watermarked paper with a blue border. 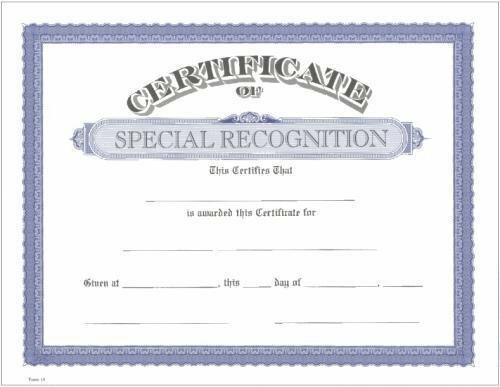 Special Recognition certificate. 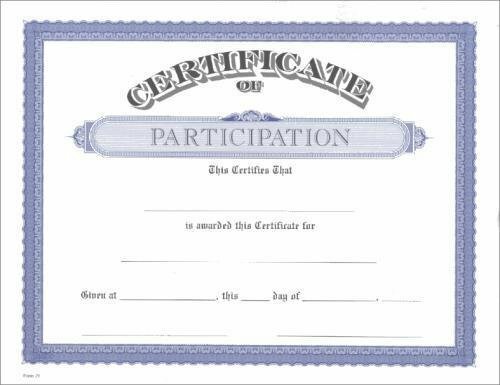 High quality watermarked paper with a blue border. Blank Do-It-Yourself Certificate. High quality watermarked paper printed in blue. Add your own text and graphics to create a custom award. 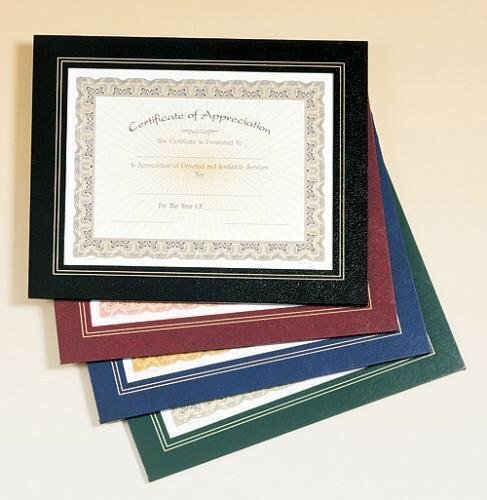 Certificate holder made of heavy paper. 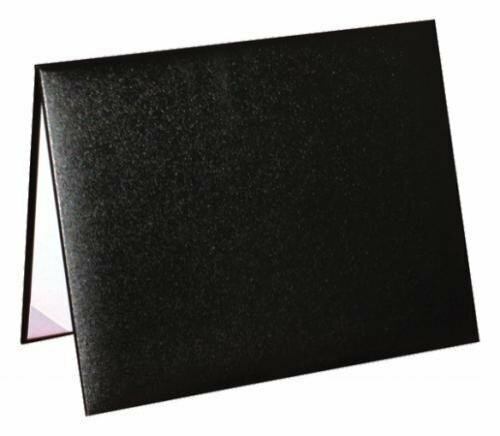 Holds one document vertically or horizontally inside folded cover.